Due to space constraint, customer requested for a room transform to cater for her 2 kids and helper. Requirements include storage space for toys and space for the kids’ playtime. 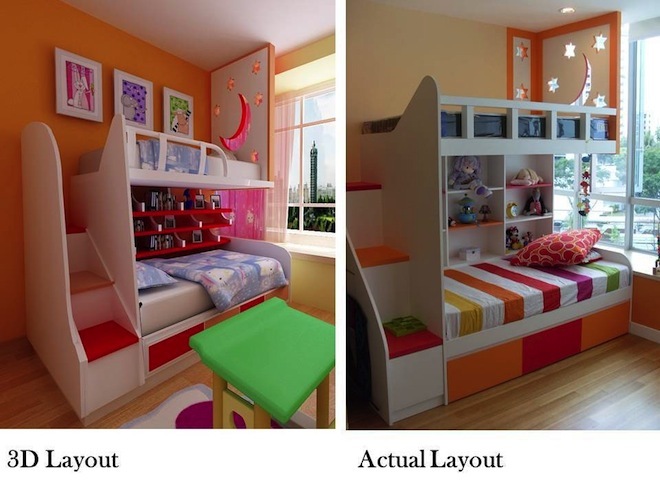 A bunk bed was designed for the kids with a pull-out bed for the helper. The colourful stairs not only serve useful for storage, it also add fun for the kids.